Today’s guest is science fiction author Stephanie Saulter! 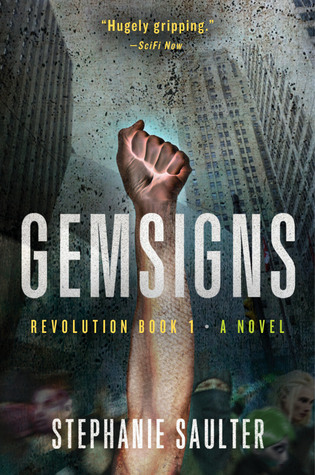 The first book in her ®Evolution series, Gemsigns, was released in the UK last year and will be available in the US next month. 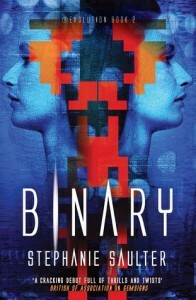 Binary, the second book in the series, was published in the UK earlier this month. I am happy she is here today to discuss use of gender in Gemsigns and rewriting narratives—and if her article makes you want to read Gemsigns as much as it did me, be sure to check out the giveaway at the end since I am also giving away 5 advance copies of the upcoming US edition! Gender Is Part of a Narrative. Rewrite the Narrative. We don’t live in such a world. Yet. Which is why I thought I’d take this opportunity to talk about the use of gender in Gemsigns. There is no use of gender in Gemsigns. Not, in any event, in the way you might imagine. 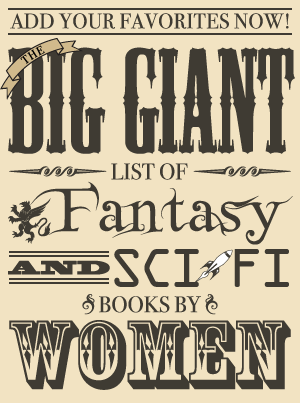 One of the conjunctions noted by readers and reviewers of the novel is the number and prominence, and absolute equality in power and status, of the female characters – despite there being no overtly feminist agenda on display. Well, precisely. Feminist agendas only make sense in the context of masculine dominance; they are called into being by the presence of a patriarchal system against which one needs to push back. By not calling attention to the gender of characters, by not having that ever be an issue, I wanted to subtly make the point that even in the world of the ®Evolution – a world riven with baseless prejudices and unfair value judgements – some prejudices, some value judgements, have simply ceased to exist. They are part of a history that some characters within the story may not even be aware of. We know otherwise; and readers can, I hope, make the leap to realising that if a society can purge itself of some kinds of bigoted nonsense, it ought to be able to do so with others. As I’ve said many times before, Gemsigns was in essence me writing a book I wanted to read, but could never locate on the shelf. So it’s not surprising that all of the tropes I find irritating or tiresome were roundly ignored, or subverted. And one of the things I have a real problem with is the recurrence, again and again, of sexist inferences and implicit gender power imbalances in stories set in the future. Especially the very far future. It’s as though we have internalised the notion that this is a natural and permanent state; that there is some kind of universal law, eternal as the cosmos, which states it shall be ever thus. Hmm. Whose narrative is that, do you think? It’s certainly not mine. If you’re reading this there’s a good chance it’s not yours either – at least not the narrative you want to have. I think it can only be because it’s so fundamental to the world we inhabit that it is so often replicated in the worlds we invent. But the power of invention is precisely that: the ability to change the narrative. And especially in the invented realities of speculative fiction, why perpetuate the notion that gender must always and inevitably matter? So I don’t do it; and I have good reasons to avoid flagging up the fact that I don’t do it. I’ll call attention to it in an article such as this one, but I won’t within the story. It’s evident that the female characters are female, just as it’s evident that the male characters are male – however the narrative attaches no inherent significance to the fact. Because every time you do flag it up, attach flashing red lights and a banner that says LOOK AT ME TREATING WOMEN AS EQUALS, every time you make it overt: you are effectively restating the narrative you want to erase. You are reminding readers of the obverse – the idea of women not being equal. I hate that phrase ‘strong female character.’ I don’t care that these days it’s often a statement of approval; I hate it. I hate the unthinking, endless insertion of the qualifier – as though it were the default state of female characters to be weak. Again I’ll ask – whose narrative is that? What presumptions are being perpetuated, every time we use that language? Who do those presumptions suit? I’m as tired of defaults in literature as I am of inequities in life. I am sick to death of the dominant narrative, in which human beings are presumptively male, strong, white, and straight; and every other kind of human is measured and understood by their variance from this supposed norm. We know that’s not the truth of who we are. We know that it is biologically, psychologically, culturally and statistically a falsehood. So why do we keep repeating that falsehood? Why do we cling to gendered representations of strength and weakness? Why do we keep telling that story? This is important. Stories are how we understand the world. Stories are also how we create the world. So if I have any advice for fellow storytellers concerned about real-world issues of justice and fairness and equality, it’s this: consider what narratives you do, or do not, wish to perpetuate. If the person who needs to be rescued is always female; if the best friend who dies tragically is always gay; if every politician is corrupt and every institution is shambolic; if every family is dysfunctional and every lover is a traitor; if every character of colour is a sidekick, or magical, or dispensable; if the evil henchman always speaks with a foreign accent; if the hero is always a he – you are not only perpetuating those stereotypes within your fiction. You’re keeping them alive out here. You do not need to do that. You have the power to not do that. Write the world as you want it to be, as you expect it to be, as it should be. Write it into existence. Stephanie Saulter writes what she likes to think is literary science fiction. 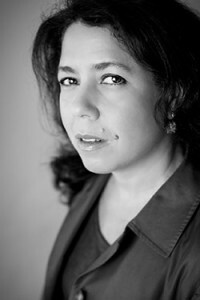 Born in Jamaica, she studied at MIT and spent fifteen years in the United States before moving to the United Kingdom in 2003. She is the author of the ®Evolution trilogy; her first novel, Gemsigns, was published in the UK & Commonwealth last year and will be released in the US next month. Its sequel, Binary, has just been published in the UK. Stephanie blogs unpredictably at stephaniesaulter.com and tweets only slightly more reliably as @scriptopus. She lives in London. I have 5 advance copies of Gemsigns to give away! This giveaway is open to those with a mailing address in the US. Giveaway Rules: To be entered in the giveaway, fill out the form below OR send an email to kristen AT fantasybookcafe DOT com with the subject “Gemsigns Giveaway.” One entry per person and five winners will be randomly selected. Those from the US are eligible to win this giveaway. The giveaway will be open until the end of the day on Saturday, April 26. Each winner has 24 hours to respond once contacted via email, and if I don’t hear from them by then a new winner will be chosen (who will also have 24 hours to respond until someone gets back to me with a place to send the book).